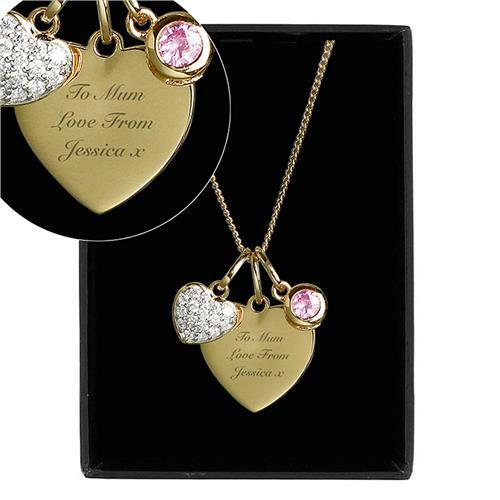 This Personalised Sterling Silver & Gold Plated Heart Necklace is a stunning gift for her on any occasion. This necklace can be personalised with 3 lines of text. Lines 1 and 2 can fit up to 12 characters per line. Line 3 can fit 10 characters. 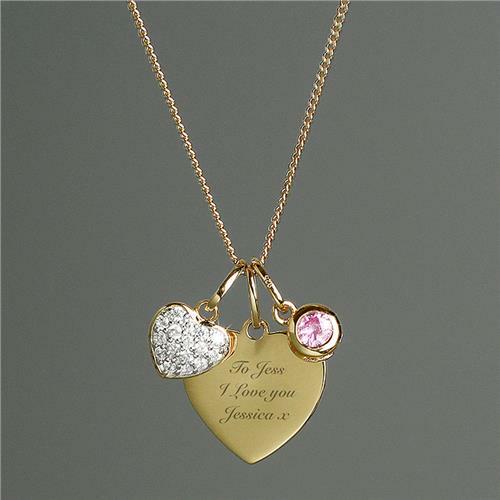 In addition to the heart pendant, this necklace also features a smaller heart pendant with 16 cubic zirconia inset. It also features a round pendant with 1 pink cubic zirconia. The length of the chain is 18 inches. 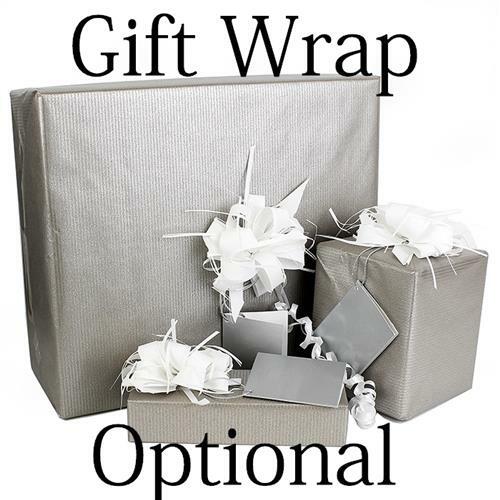 The chain is gold plated and comes presented in a stylish gift box. Ideal for Valentine's Day, Weddings, Anniversaries, Birthdays, Mother's Day.IMPORTANT: Please double check your personalisation as how it appears on email will be how it appears on the product, including spacing and punctuation. Please do not include accents and special symbols as some of our processes will not allow this. This includes accents above and below the alphabetical or numerical text.